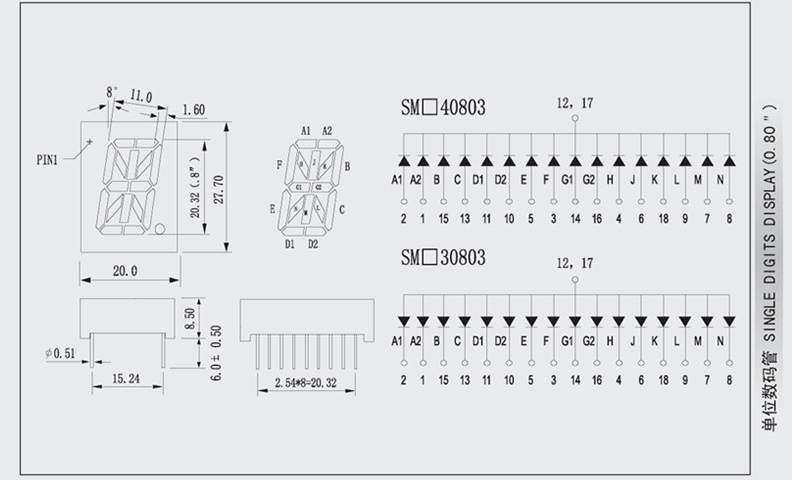 This product is retired, please consider our SMD LED Clear-Yellow as your alternative choice. This is a 16 segment common cathode LED and is yellow green. The advantage of 16 segment is that you can not only display 1234567890, but also ABCDEFGHIJKLM.